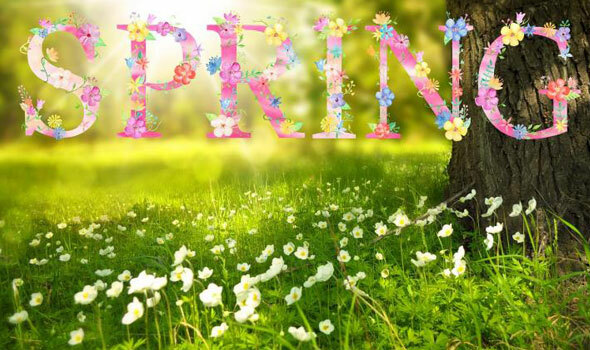 The Easter weekend is the first public holiday period of the year to enjoy spring-like weather, so many outdoor events are generally part of Easter celebrations. This includes domestic travel – not only to visit family but to hit key hotspot destinations. Therefore be sure to make your plans well in advance in order to secure your travel with us. Easter, one of the oldest Christian traditions, is the celebration of the last week of Jesus’ life, his death, and his resurrection. 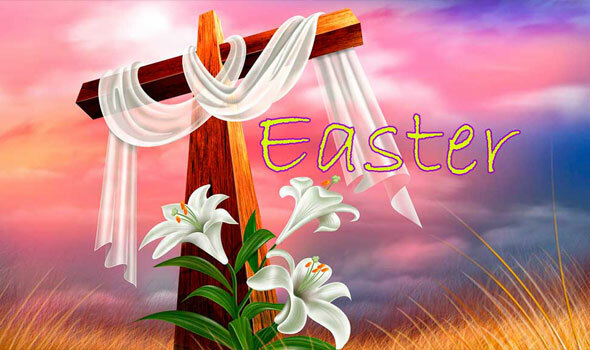 For Christians, Easter symbolises the dawn of a new life and the high point of the Christian calendar. 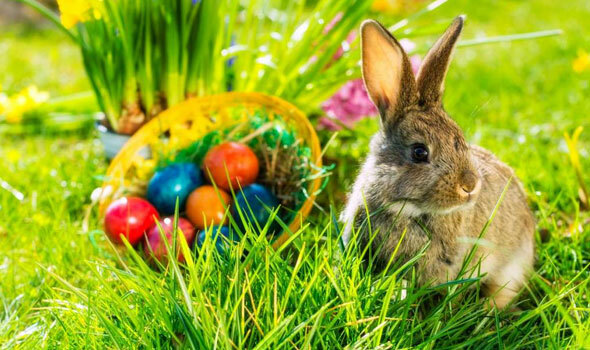 While defined as a Christian holiday, Easter has many of its roots in the traditions and rituals of the pagan people who inhabited the United Kingdom before its wide spread conversion to the Christian faith. 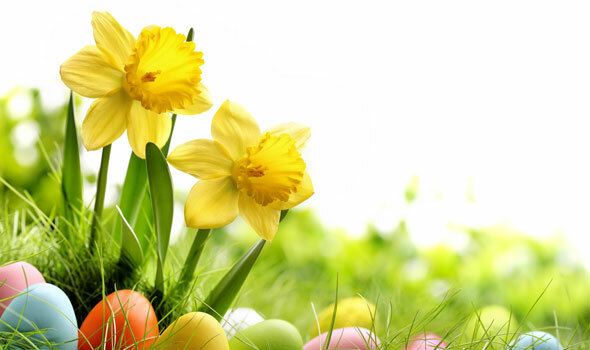 Scholars believe that Easter was named for “Eostre”, the Anglo-Saxon goddess of the spring. The actual day of Easter, unlike Christmas, is not a set date. Always on a Sunday, Easter can vary in date by country depending on whether the Gregorian or Julian calendar is being used. 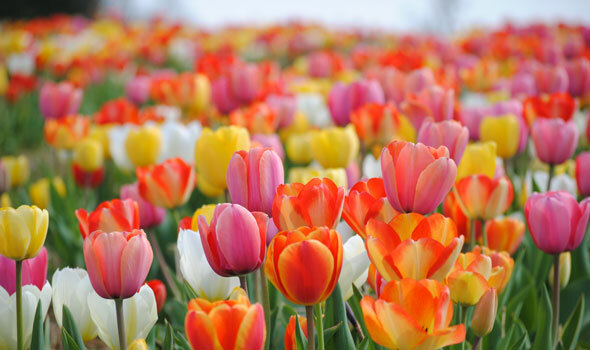 The UK, which follows the Gregorian calendar, celebrates Easter on the Sunday following the first full moon that occurs after the first day of spring. Using this timeline, Easter can vary in date from as early as the 22nd of March to as far into spring as the 25th of April. Dating back to the time of King Edward the First, it is tradition for the Queen to take part in the Maundy Thursday celebrations. It is customary for the sovereign to distribute what is called the “Maundy Money” to deserving senior citizens. One man and one woman are chosen to represent each year of the Monarch’s age. These are citizens that have done great service in the community and are chosen to receive a red and white purse containing one coin for every year of rule by the Monarch. Maundy Money is a modern change on the original celebration of Maundy Thursday. It was said that the Royals used to wash the feet of selected poor people to show devotion and humility to their constituents. However, the last Royal to have participated in the original form of this holiday was King James the Second. The current tradition of Maundy Money was said to have been started by King Charles the Second in 1662 and has remained unchanged in its entirety since 1670. Thought once to be named “God’s Friday” or “Holy Friday”, the United Kingdom’s celebration of Good Friday is a commemoration of the crucifixion of Jesus Christ. Good Friday is treated as a day of mourning in the United Kingdom. Churches remain unlit and bare, with no decorations or flowers; some churches cover statues and paintings. Many churches hold a ceremony at 3 o’clock, as this is said to be the time that Jesus died on the cross. Many church services on Good Friday will incorporate passion plays or dramatic readings into their services. Hot cross buns are traditionally eaten by Christians in the UK on Good Friday. The bread serves as a reminder of Jesus dying for our sins due to the shape of the cross that appears across the top of the bun. They are generally consumed as a breakfast food and come straight from the oven. Once sold by street vendors in the cities, a well known nursery rhyme was founded based on the pitch sung by the local vendors: “Hot Cross Buns, Hot Cross Buns, One a penny, two a penny, Hot Cross Buns. If you do not like them, give them to your sons, one a penny, two a penny, hot cross buns.” There are several superstitions around the hot cross bun. Some say that when baked on Good Friday, they would never go mouldy. Others say that if hardened, they would protect a house from fire. Sailors were known to take them to sea, to protect them from shipwrecks. Fish is the traditional food of choice for Good Friday suppers, while some devout Christians opt to fast instead in memory of the sacrifice given by Jesus Christ. The Saturday prior to Easter is called “Holy Saturday.” It is historically considered to be the day that Jesus lay in the tomb and is used to reflect on his sacrifice and prepare for the Easter festivities. Most churches hold services on the eve of Easter. Starting in the early church, it was common for ‘new converts’ to the faith to be baptised on this day so that they were able to take their first communion on the Easter Sunday. Easter Sunday is one of the most important holidays in the church. It symbolises remembrance of Jesus’ resurrection from the dead, implying that death is not the end of our journey. The churches celebrate Easter Sunday with bell ringing, flowers (generally white lilies), and a white and gold colour pallet inside of the church hall. Some churches conduct a sunrise service; some perform their services on a hillside. An Easter vigil is held in which a fire is lighted outside of the church first thing on Sunday morning. A candle called the Paschal Candle is lit from the fire and then carried into the church. A Paschal Candle is covered in small studs that symbolise Christ’s wounds and is used to light the candles of the congregation members. The service is considered to be joyous in comparison to the mourning ceremonies of the previous days. Easter Sunday is rich in traditional foods. Breakfast consists of boiled eggs and the exchanging of Easter gifts and cards. Roast lamb with mint sauce is served as the main meal for Easter Sunday. Easter biscuits and custard tarts are the traditional pudding. Tea tends to be a Simnel cake, which is a fruitcake covered with an almond marzipan. Traditionally, eleven balls of marzipan were baked on top of the cake denoting the eleven original disciples. This, of course, excludes Judas as one of the disciples. Easter biscuits contain spices, currants, and occasionally grated lemon rinds. These are sometimes referred to as Easter cakes. Perhaps one of the largest traditions during a UK Easter is the giving of Easter eggs. Chocolate eggs are given to children on Easter Sunday. 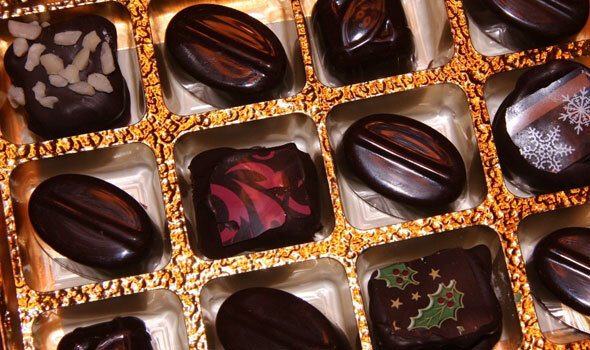 These can either be hollow or have a filling, such as a cream base, and tend to be wrapped in silver or gold paper. Early Easter gifts were originally birds’ eggs, painted in bright colours and patterns. Some still celebrate Easter with egg painting as a children’s activity. Eggs are a symbol of new life created during the spring and is said to have come from the original pagan traditions surrounding the holiday. Another egg related tradition involves rolling real eggs down a hill in a race. The winner was the owner of the last un-cracked egg. While this tradition seems to have faded in popularity, it can still be seen in Preston in Lancashire, in the north of England. Some have adopted the tradition of hiding eggs in the garden for children to search for. This has only appeared in the UK as of late, with the adoption of the German-originated Easter Bunny. Morris dancing can still be seen around the United Kingdom. A form of historical folk dancing dating roughly back to the Middle Ages, Morris dancing is comprised of men costumed in white with ribbons and bells on their ankles who dance through the streets of the villages. This is done to symbolize the arrival of spring. Another, slightly less common tradition is the Maypole dancing. This dates back to before Christianity came to the shores of the UK and is a pagan-based tradition. The Maypole dance includes dancing around a large pole with ribbons. People dance around the pole, while holding the ribbons, in a weaving fashion until the entire pole is swathed in the ribbon. 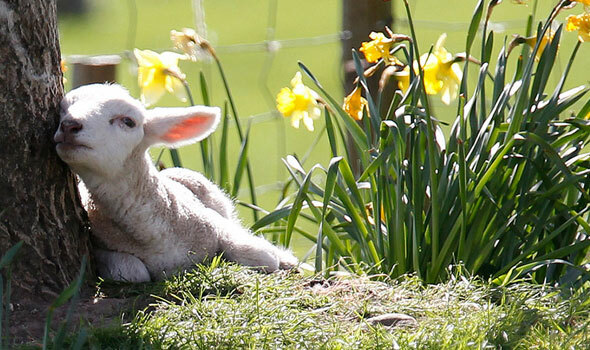 This is meant to celebrate the coming of spring in the original pagan festival. 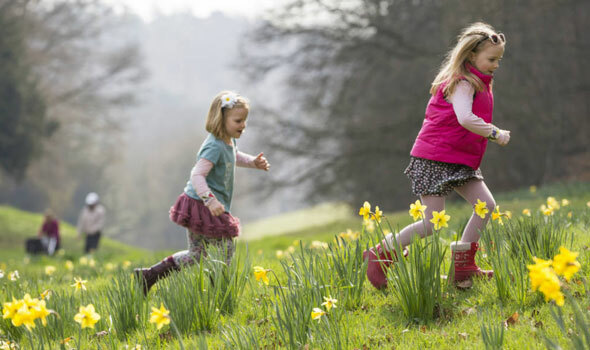 Annual Easter egg hunts are conducted at The World of Beatrix Potter in the Peter Rabbit Garden with over 50 eggs hidden and prizes totaling up to $10,000 upon occasion. 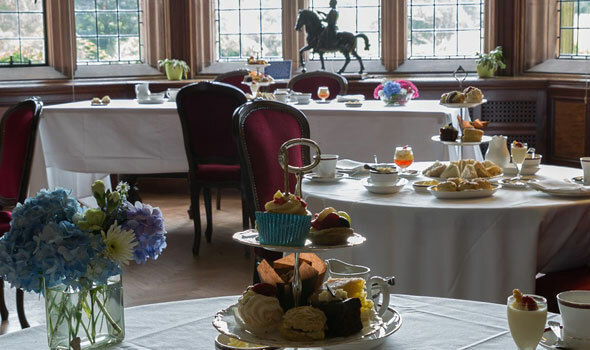 Prizes do vary by year, but the proceeds go to charity and is a lovely experience for children or adult fans of the beloved Beatrix Potter series. In Scotland, Floors castle plays host to an annual egg-and-spoon race. The castle, home to the Duke and Duchess of Roxburghe, stays closed through the winter, reopening to the public during the spring and summer seasons. Egg-and-spoon races, bunny hop races, face painting, and many other seasonal activities take place in the castle gardens. The island of Harris in Scotland conducts an egg rolling competition. If your egg makes it to the bottom of the hill unbroken, you are said to have good luck for the remainder of the year. 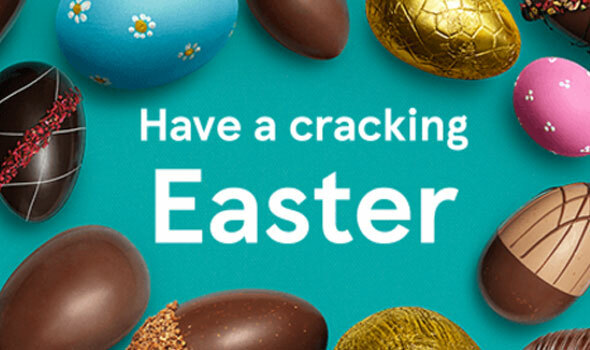 Good Friday and Easter Monday are considered Bank Holidays with most businesses being closed across England, Wales and Northern Ireland, giving most a four day holiday. 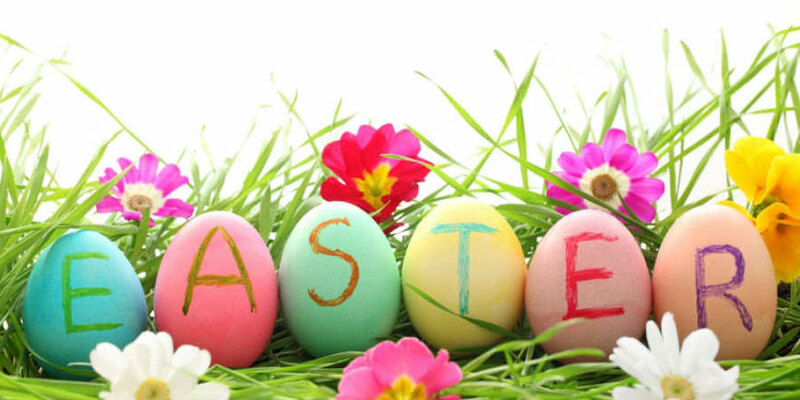 Easter coincides with a two week holiday for schools and is the most popular time for family vacations. Easter holiday celebrations are unique to those across the world due to their historical background. A United Kingdom Easter has traditions based not only on Christianity principles but also containing deep rooted pagan customs. 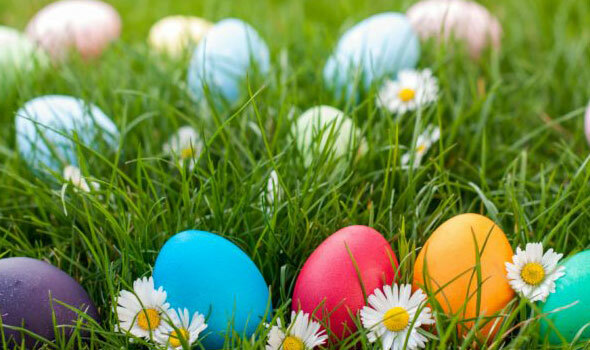 Whether you are celebrating Easter as the resurrection of Jesus Christ or a large Easter bunny leaving behind chocolate and painted eggs, there are plenty of unique celebrations across the country to enjoy over the holiday weekend. No, it's not a magic trick — it's Daylight Saving Time! 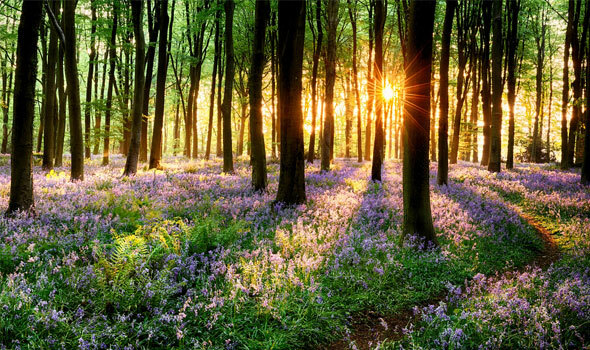 Daylight Saving Time (or “Summer Time," as it's known in many parts of the world) was created to make better use of the long sunlight hours of the summer. By “springing" clocks forward an hour in March, we move an hour of daylight from the morning to the evening. 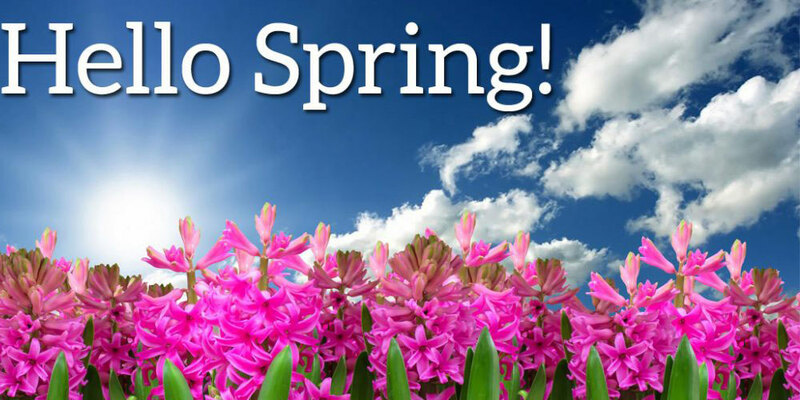 Sunday, 31 March 2019, 01:00:00 clocks are turned forward 1 hour to Sunday, 31 March 2019, 02:00:00 local daylight time instead. 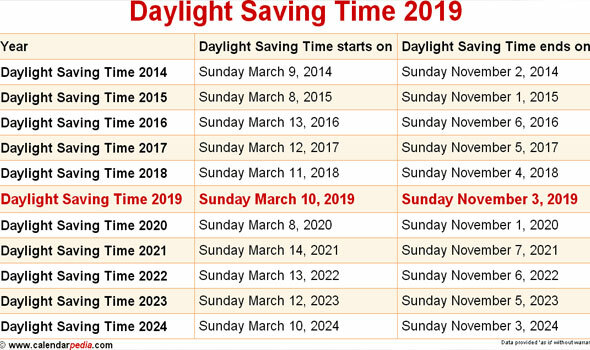 Sunrise and sunset will be about 1 hour later on 31 Mar 2019 than the day before. There will be more light in the evening. Also called Spring Forward, Summer Time, and Daylight Savings Time. 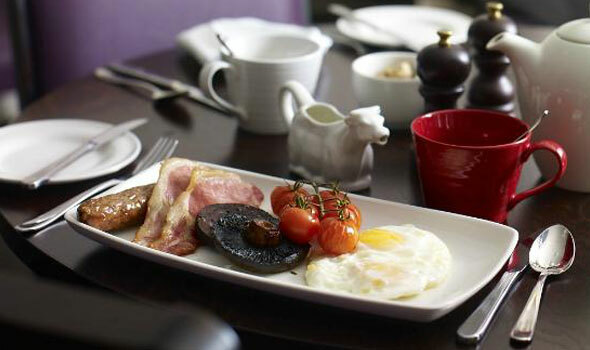 Mothers Day this years falls on 31st March 2019, so if you're needing a Private Hire vehicle or Taxi to treat your Mum to a nice Breakfast, Lunch, dinner or day out, don't forget to book early as we quickly become fully booked on these days. 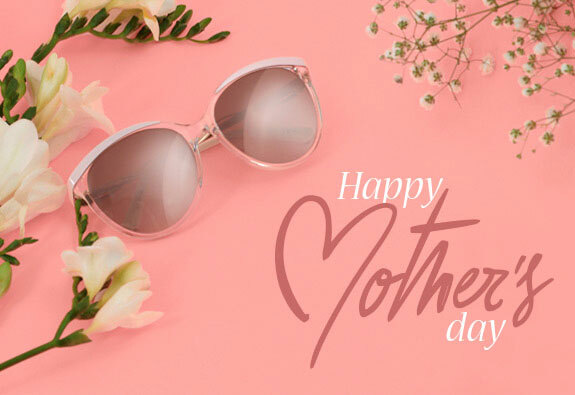 Mother's Day, or Mothering Sunday in the UK and Ireland, is a day to show love, gratitude and appreciation to all wonderful mums everywhere, through acts of kindness and the giving of Mothers Day gifts and flowers. Mothering Sunday and Mother's Day both have different origins; although they represent the same meaning, they originated very differently. We all celebrate the day but very few people actually know its origin. The original meaning of Mothering Sunday and Mother's Day has been somewhat lost but it's still a day to solely appreciate mum. Mother's Day celebrations date back as far as the ancient Greeks where they would celebrate Rhea, the Mother of the Gods and Goddesses, every spring with festivals of worship. The Romans also celebrated a mother Goddess, Cybele, every March as far back as 250BC. Mothering Sunday has been celebrated on the fourth Sunday in Lent, in the UK and Ireland, since the 16th century. 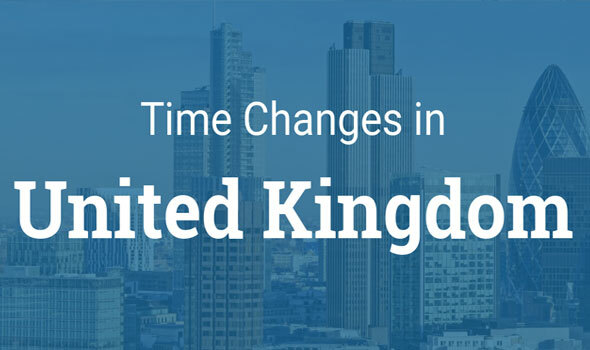 The date varies in other parts of the world. 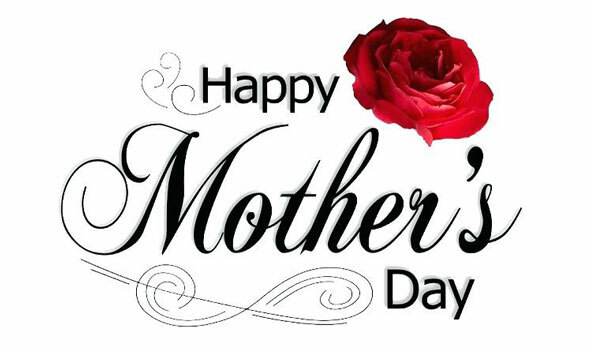 Many countries follow the US and celebrate Mother's Day on the second Sunday in May, whilst other countries enjoy the day on March 8th which is International Women's Day. 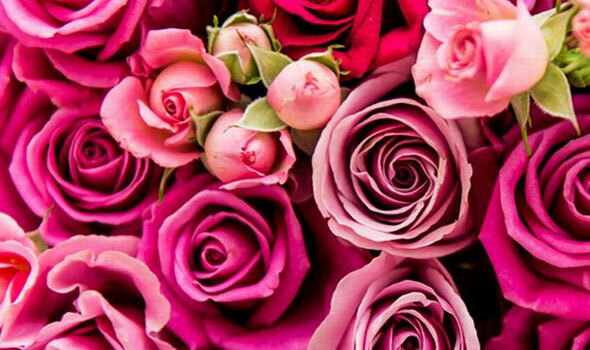 Like many traditions and festivities, Mothering Sunday began with a religious purpose. Held on the fourth Sunday in Lent, exactly three weeks before Easter Sunday, it was a originally a day to honour and give thanks to the Virgin Mary, also known as Mother Mary. Such celebrations required people to visit their 'mother' church - the main church or cathedral in a family's area. The spread of Christianity throughout Europe in the 16th century increased the celebrations and firmly put Mothering Sunday on the calendar. It was believed to be essential for people to return to their home 'mother' church to make it a true family honored occasion. The gatherings reunited families and gave children who worked as domestic servants, or as apprentices away from home (from as early as ten years old), the opportunity to have the day off to join their family and see their mother. Throughout the year in England and Ireland people would regularly and devoutly visit their nearest chapel, their 'daughter' church, whereas on Mothering Sunday, as well as baptisms, people would visit their 'mother' church loaded with offerings of thanks. Such celebrations were similar to, and most likely adopted, the Roman ceremonies of the Mother Goddess. 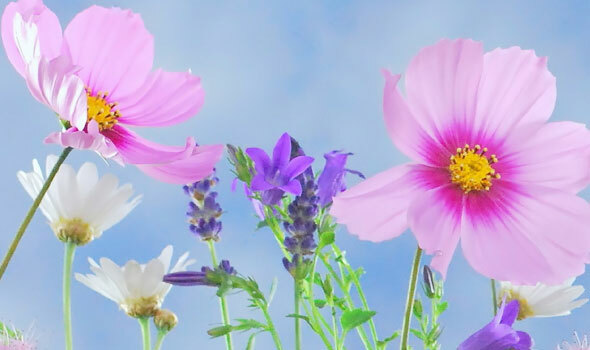 The religious day increased its scope from thanking Mother Mary to a 'mother' church celebration and finally opened up as an occasion to thank and appreciate all mothers; thus creating Mothering Sunday. Whilst the day had a firm following for many centuries since the 16th century, by 1935 it started to decrease in popularity and was celebrated less and less in Europe, until WWII. The Americans and Canadians celebrated Mother's Day during the war, feeling a crucial need to give thanks to their mothers whilst away at war. The Brits and other Europeans followed their comrades and they too gave thanks to their mothers; since then it earns pride of place on the UK calendar. As with any national holiday, Mother's Day involves the giving of gifts and cards to show Mum how much she's valued and appreciated. Traditionally Mother's Day gifts included flowers and a Simnel cake. The flowers were picked by the workers on the way home from work for a day with their mum; they'd pick wild flowers from the country lanes. It is still a tradition today to spoil mum with a stunning colourful bouquet of flowers, as well as more modern gifts such as perfume, clothes or jewellery. As with any national holiday, food always seems to take centre stage; Christmas dinner, Easter eggs, Valentine's feast and Mother's Day Sunday roast dinner. We love our food and the tradition it brings! 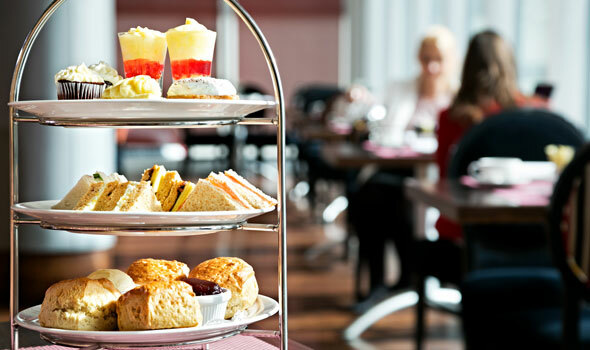 Mothering Sunday was once also known as 'Refreshment Sunday' it was the mid-lent Sunday where fasting could be 'eased' for the day and people could enjoy a delicious meal together as a family. It was an opportunity to temporarily indulge in some special rich food for the day breaking up the hard slog of lent. Traditionally, after church, families would tuck into a Sunday dinner of either roast lamb or veal and mother would be made Queen of the feast. Similar to today, Mothering Sunday was all about spoiling mum and making her feel happy and appreciated. Also once known as 'Simnel Sunday', families would gather with freshly baked delicious Simnel cakes. Simnel cakes are made of two rich fruity layers that are boiled in water and then baked, before having almond paste spread on top and in the middle of the layers. Traditionally the cake would have been decorated with 11 balls of marzipan to represent the 11 disciples (not including Judas), whilst sugar violets were also a popular decoration for the cake. Such a treat midway through lent was greatly looked forward to. Traditionally, it's believed that bread was also freshly baked for mothers on Mothering Sunday. Children would awake early and get the bread in the oven so mums would wake to the beautiful aroma of fresh bread. 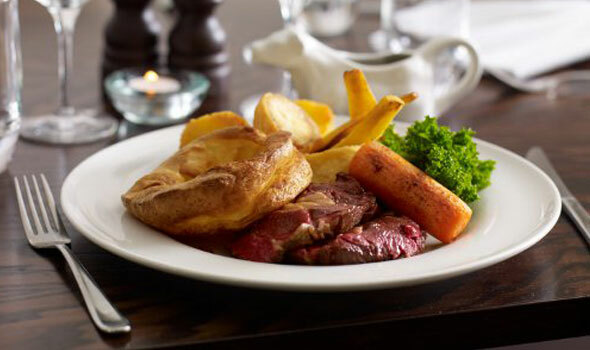 Nowadays mum's are either taken out for a special dinner or a home cooked Sunday roast dinner is enjoyed by the whole family - mums might even be cooking it themselves! 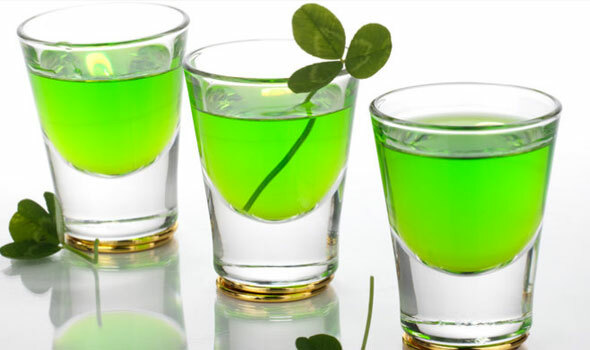 St. Patrick’s Day observes of the death of St. Patrick, the patron saint of Ireland. 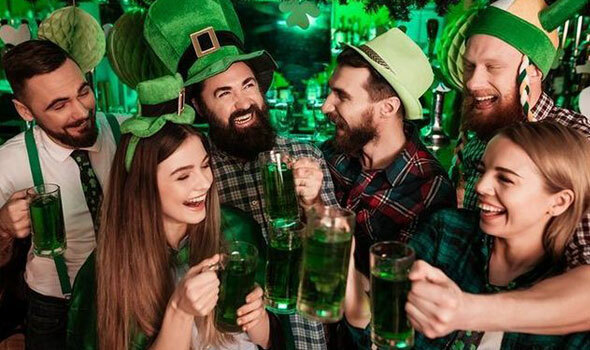 So If you're needing a Taxi/Private Hire vehicle to a special St Patrick's Day event, please book early as we can get quickly flooded with bookings, so as not to disappoint get in quick! -Irish cream chocolate mousse cake. -Irish potato champ, also known as poundies, cally or pandy. Some people plan a pilgrimage to St Patrick’s Purgatory, which is commonly associated with penance and spiritual healing since the early 13th century. It is on Station Island in Lough Derg in County Donegal where St Patrick had a vision promising that all who came to the sanctuary in penitence and faith would receive a pardon for their sins. 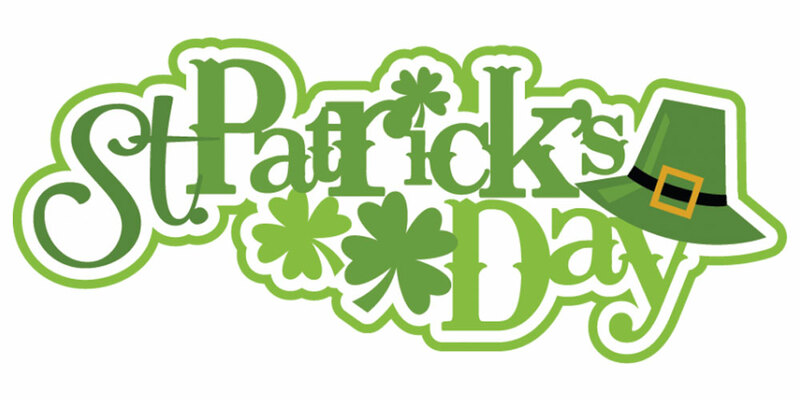 St Patrick's Day is a bank holiday in Northern Ireland (United Kingdom) and the Republic of Ireland. 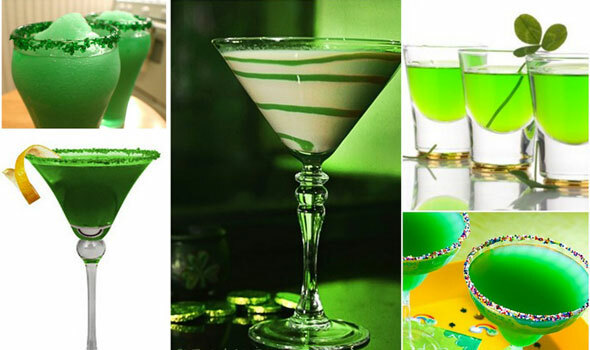 St Patrick’s Day is also a festive occasion in some parts of the world where it is not a public holiday. Therefore traffic and parking may be temporarily affected in streets and public areas where parades are held in towns and cities. St Patrick is one of the patron saints of Ireland. He is said to have died on March 17 in or around the year 493. He grew up in Roman Britain, but was captured by Irish raiders and taken to Ireland as a slave when he was a young adult. After some years he returned to his family and entered the church, like his father and grandfather before him. He later returned to Ireland as a missionary and worked in the north and west of the country. 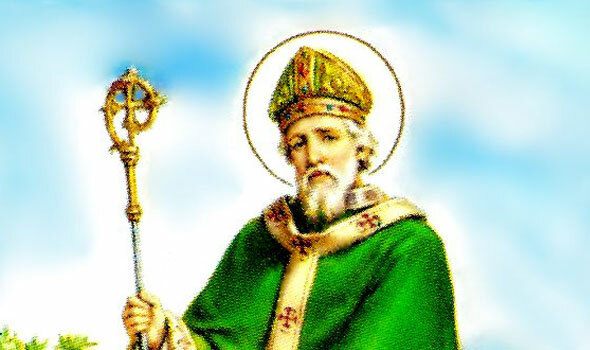 According to popular legend, St Patrick rid Ireland of snakes. However, it is thought that there have been no snakes in Ireland since the last ice age. The "snakes" that St Patrick banished from Ireland, may refer to the druids or pagan worshipers of snake or serpent gods. He is said to be buried under Down Cathedral in Downpatrick, Ireland. Ireland’s other patron saints are St Brigid and St Columba. Luke Wadding, a Franciscan scholar born in 1588 in Waterford, on the south coast of Ireland, was influential in ensuring that the anniversary of St Patrick's death became a feast day in the Catholic Church. 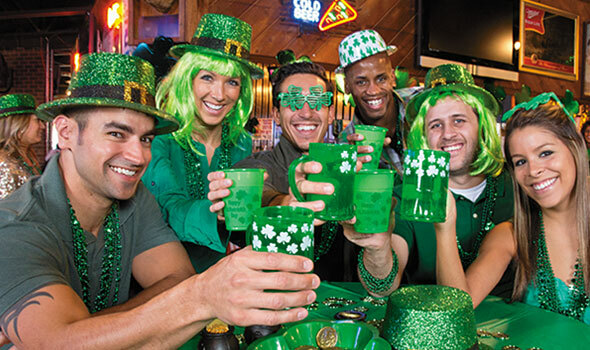 Many Catholic churches traditionally move St Patrick's Day to another date if March 17 falls during Holy Week. Many immigrants from Ireland fled to other parts of the world, including Australia, Canada, the United Kingdom and the United States, in the 19th and 20th centuries. Many Irish customs, including the St Patrick’s Day celebrations, became quite popular in these countries. 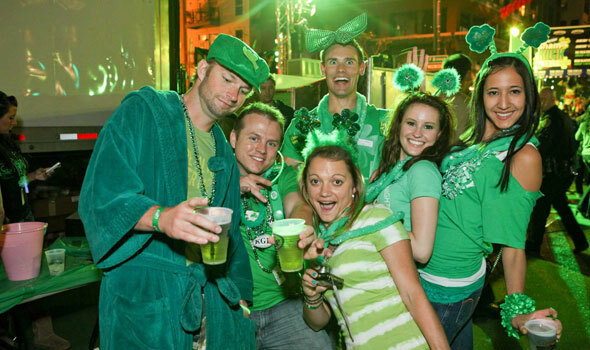 However, much of the interest in the St Patrick’s Day events is largely commercially driven in the 21st century. The most common St Patrick's Day symbol is the shamrock. The shamrock is the leaf of the clover plant and a symbol of the Holy Trinity. 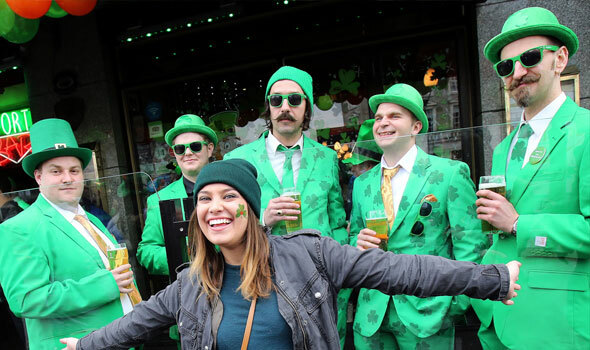 Many people choose to wear the color green and the flag of the Republic of Ireland is often seen in St Patrick’s Day parades around the world. 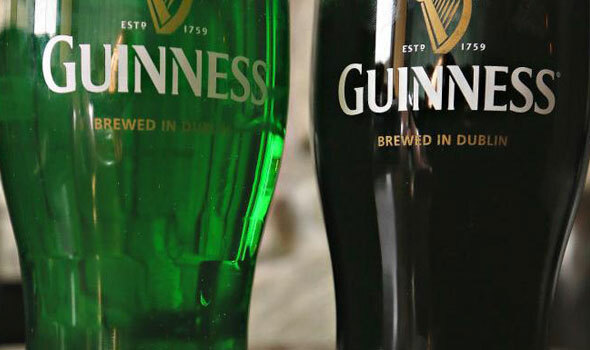 Irish brands of drinks are popular at St Patrick’s Day events. Religious symbols include snakes and serpents, as well as the Celtic cross. Some say that Saint Patrick added the Sun, a powerful Irish symbol, onto the Christian cross to create what is now called a Celtic cross. 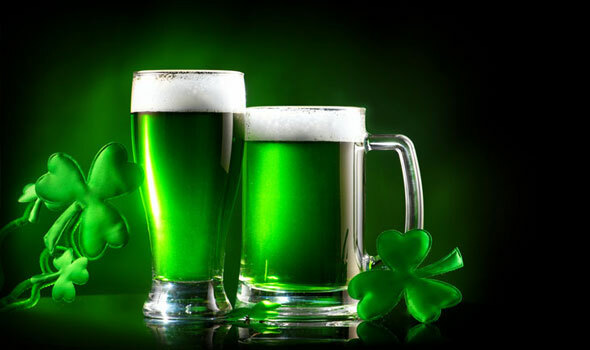 Other Irish-related symbols seen on St Patrick’s Day include the harp, which was used in Ireland for centuries, as well as a mythological creature known as the leprechaun and a pot of gold that the leprechaun keeps hidden. If you're needing a Taxi/Private Hire vehicle to a special lunch, or Shrove Tuesday event, please book early as we can get quickly flooded with bookings, so as not to disappoint get in quick! 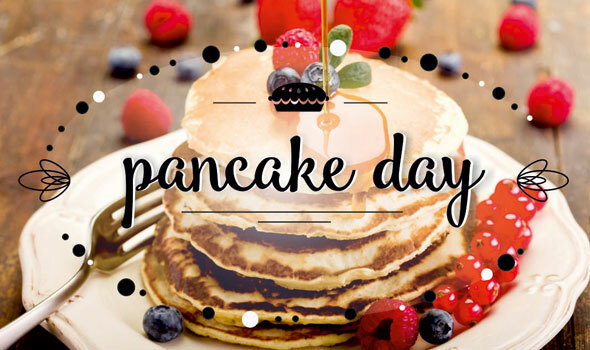 Pancake Day, or Shrove Tuesday, is the traditional feast day before the start of Lent on Ash Wednesday. Lent – the 40 days leading up to Easter – was traditionally a time of fasting and on Shrove Tuesday, Anglo-Saxon Christians went to confession and were “shriven” (absolved from their sins). A bell would be rung to call people to confession. This came to be called the “Pancake Bell” and is still rung today. 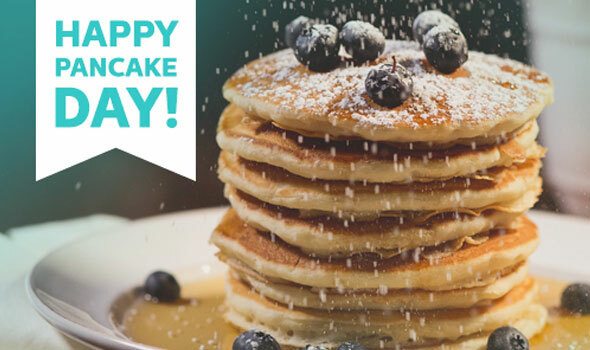 Shrove Tuesday always falls 47 days before Easter Sunday, so the date varies from year to year and falls between February 3 and March 9. 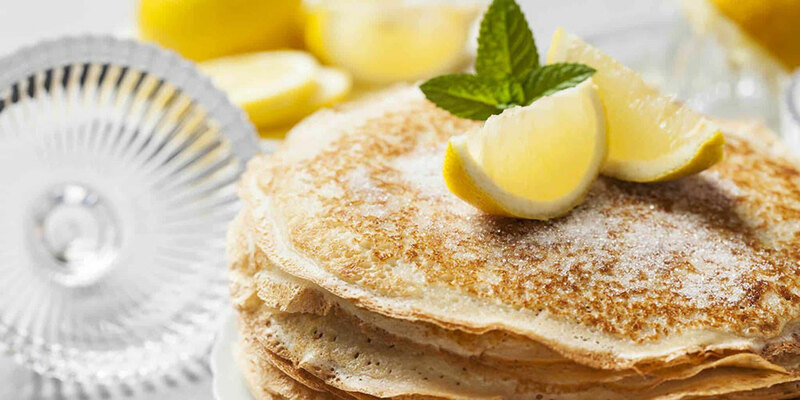 Shrove Tuesday was the last opportunity to use up eggs and fats before embarking on the Lenten fast and pancakes are the perfect way of using up these ingredients. 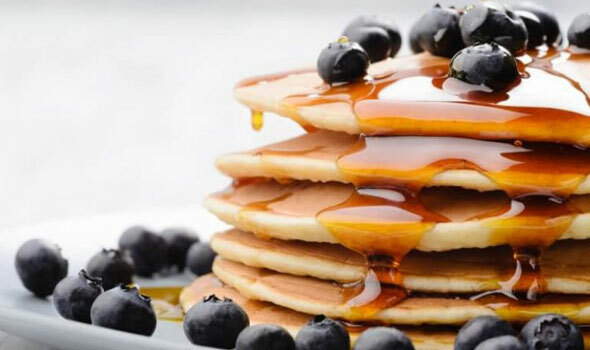 A pancake is a thin, flat cake, made of batter and fried in a frying pan. 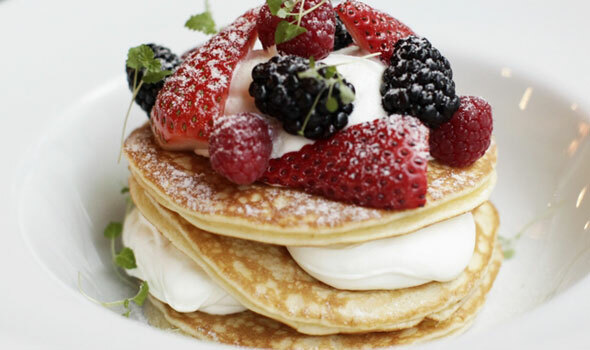 A traditional English pancake is very thin and is served immediately. 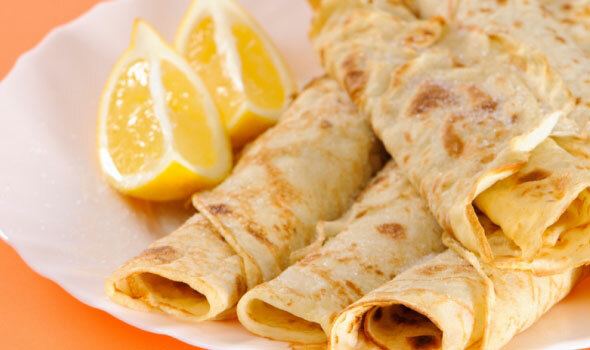 Golden syrup or lemon juice and caster sugar are the usual toppings for pancakes. 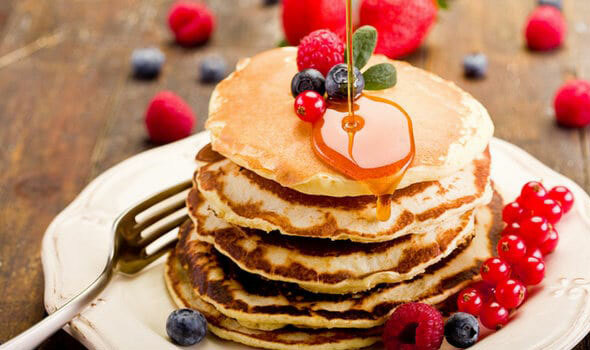 The pancake has a very long history and featured in cookery books as far back as 1439. The tradition of tossing or flipping them is almost as old: “And every man and maide doe take their turne, And tosse their Pancakes up for feare they burne.” (Pasquil’s Palin, 1619). To make 8 or so pancakes you will need 8oz plain flour, 2 large eggs, 1 pint milk, salt. Mix all together and whisk well. Leave to stand for 30 minutes. Heat a little oil in a frying pan, pour in enough batter to cover the base of the pan and let it cook until the base of the pancake has browned. Then shake the pan to loosen the pancake and flip the pancake over to brown the other side. In the UK, pancake races form an important part of the Shrove Tuesday celebrations – an opportunity for large numbers of people, often in fancy dress, to race down streets tossing pancakes. The object of the race is to get to the finishing line first, carrying a frying pan with a cooked pancake in it and flipping the pancake as you run. Welwyn Private Hire has been providing executive cars, airport taxi transfers & corporate travel since 1982. Web site designed by Gary Collins 2017. Copyright © 2017 Welwyn Private Hire. All rights reserved.